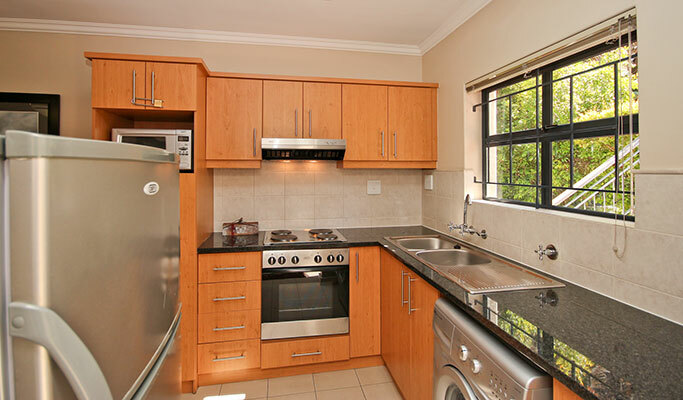 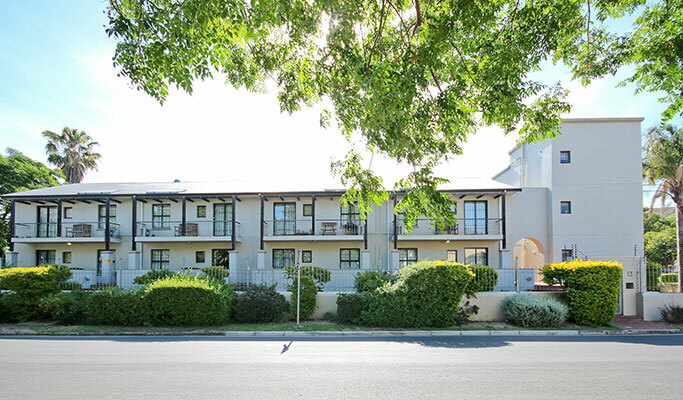 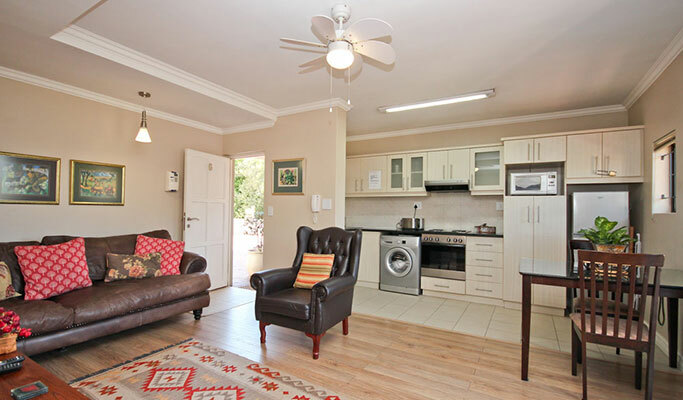 Vilaroux, in the historic heart of STELLENBOSCH, offers 7 self-catering apartments ideally suited for the discerning traveler and visitors to the Cape winelands. 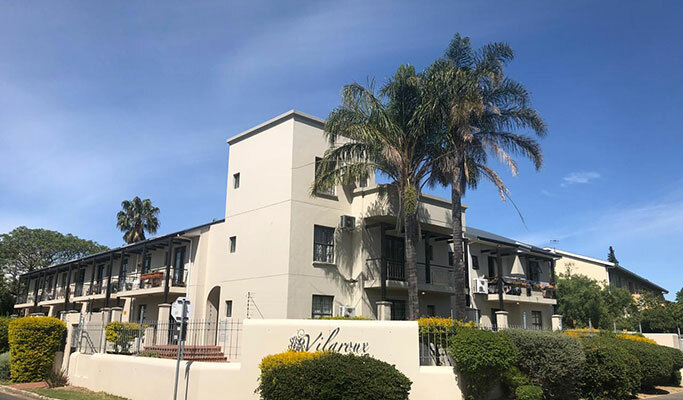 Vilaroux is situated in Papegaai Street, just off the historic Dorp Street. 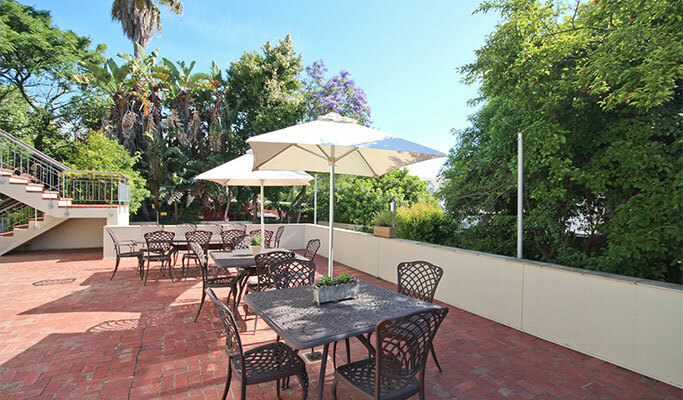 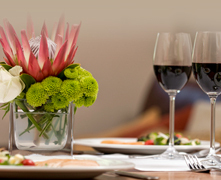 We are close to the Stellenbosch University, three of the most well-known high schools in the country, Paul Roos Gymnasium, Bloemhof and Rhenish, shopping centres, the Coetzenburg Stadium, major businesses, museums, restaurants, golf courses and travellers’ amenities such as banks, travel agencies, car rental agencies and offices. 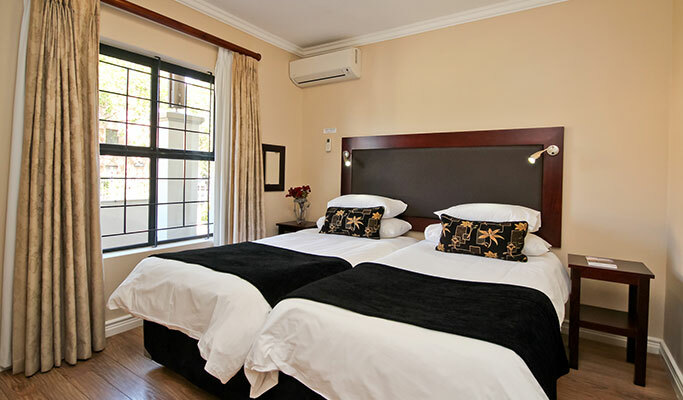 Vilaroux is located in the central part of the picturesque Stellenbosch and therefore we are the destination of choice for business clients, holiday-makers, weekend guests and overnight visitors. 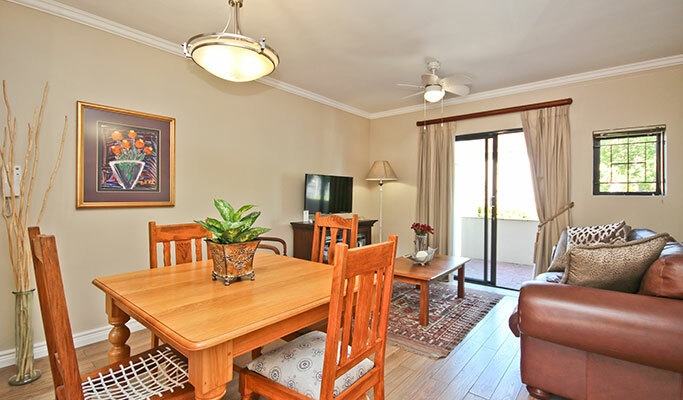 Vilaroux is ideally suited for groups and can accommodate up to 26 people. 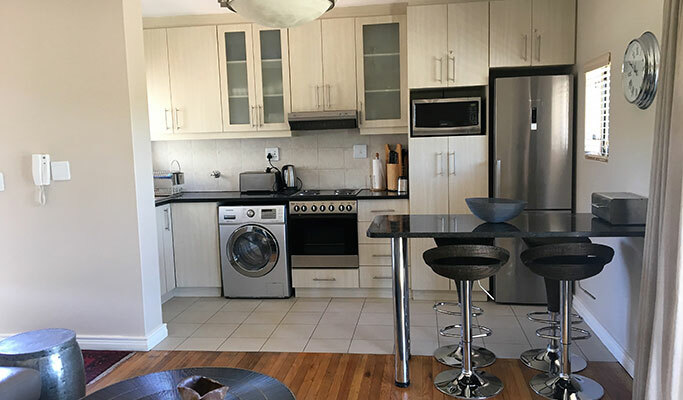 If you prefer not to make your own breakfast, the nearest restaurant is only 300m away – just a relaxing morning stroll under the great Stellenbosch trees.